This recipe is no good. 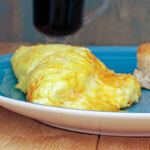 For a similar recipe that really works, please see the recipe called Puffy Omelette. I'm leaving this recipe on the site, so it can act as a tutorial in case you try to make an omelette and everything falls apart. Please see my notes after the recipe. 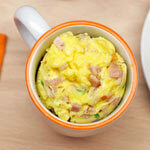 Beat yolks of eggs with seasonings and milk. Beat whites separately until stiff. Place butter in skillet and set to medium-high heat. Just as soon as butter is melted, lower heat to medium-low. Tilt pan to have bottom and sides well greased with butter. Fold the stiffly beaten egg whites into yolk mixture. Pour egg mixture into hot pan, spread evenly and cook slowly until omelet is set. 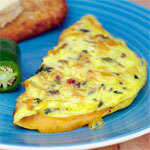 Then, place omelette in oven, which has been preheated to 350 degrees to dry slightly on top. Turn out and serve at once. 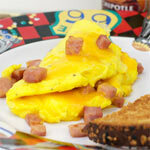 Grated cheese and/or finely chopped ham may be folded into mixture, if desired. Hi. 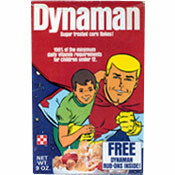 Mr Breakfast here. So, I made this recipe as submitted and it was a complete mess. 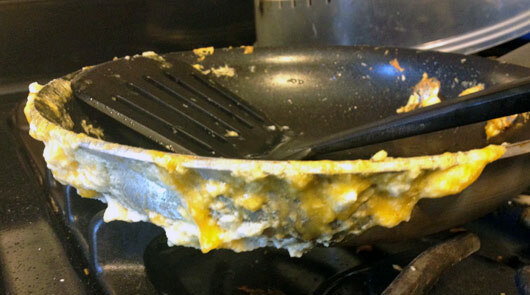 When I turned the omelette onto a platter, it disintegrated into a weird, foamy, unappealing scramble. As you can see from the top picture, I was able to salvage it. It's not the greatest looking omelette, but it looks vaguely like what it was supposed to be and it tasted fine. To fix it, I transferred the busted foamy omelette back to the skillet and stirred it and flattened it with a rubber spatula. Cooking on medium-high heat, the omelette came back together and held its shape so it could be turned onto a plate as an omelette is supposed to. It should be noted that I had added cheese to the top of the omelette before I knew I was working with a dud. Stirring that cheese into the eggs as part of the fix actually gave this omelette a great flavor and acted as sort of glue to help it hold its structure. With all that said, DON'T MAKE THIS OMELETTE. 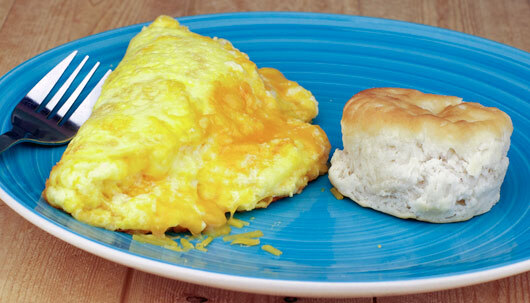 Make this one instead: Puffy Omelette. Reasons for fail: Egg whites overly beaten. No pan size specified. A failure of a recipe turns into a tutorial on how to save an omelette when everything falls apart. What do you think of Foamy Omelette? Awesome recipe. Worked very well.